GREAT Stories for Children on DVDs/CDs! We are a collective of writers, voice-over actors, and creative minds who love coming up with original stories, as well as making some of the classics come alive on CDs that can be listened to over and over again. They're great to take on trips, excursions, and anywhere that kids find time on their hands. We always are creating new and exciting stories that captivate a young persons mind, and instill many truths about life and living. We've also taken some of the classic young peoples stories of public domain and are turning them into exciting CDs that come alive for all to share. 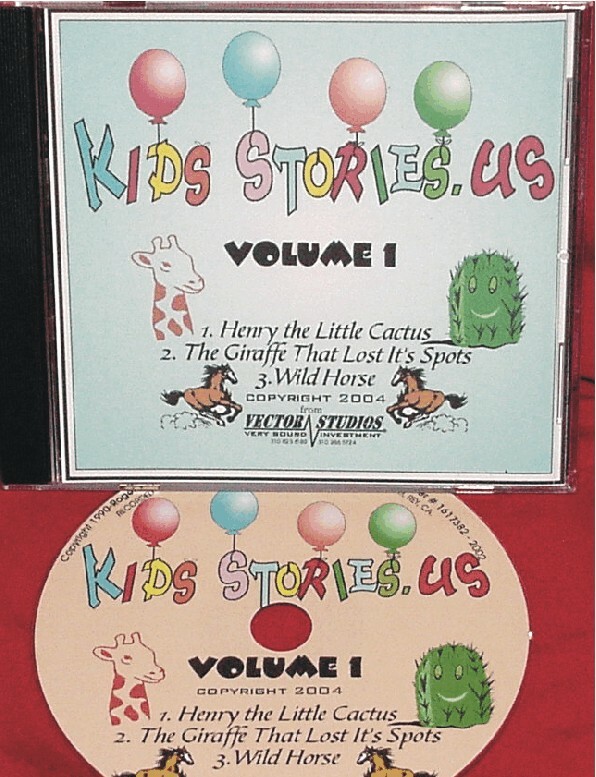 Kids Stories dot US, is a great site to get fun stories for young children TO WATCH OR LISTEN TO on DVD or CD, and can keep them occupied, entertained, and also instill some of the worthwhile values of life in the process. Like, for instance, HARRY THE 60 LB. GUARD CAT, has many spots that depict Harry (a domesticated 60 lb. Canadian Lynx) tending to duties that promote responsibility, and sense of purpose in kids. Like, making his bed, straightening the covers, taking a nap, and showing consideration for other people's property. You owe to your children to give it try and see how well it works in giving them incentive to get ready for bed, to do their chores, and just sit back and relax. Given the guidelines, and parameters we can create an adventure story about any child and or family incorporating all the the information you supply. We then put the appropriate music and effects in the background to create a realistic captivating adventure story that can be a classic for years to come. A growing library or "Your book / story" brought to life! Our list of titles is always growing and we can even do requests if we feel your particular book or story now in print or manuscript will have appeal to our audience. If you would like a book recorded to listen to anywhere, just let us know, we'll give you an individual quote, with a very fast turn-around time. So keep checking our site for new titles. This is a PHOTO SLIDE SHOW with professional voice over, music and effects - The setting is aboard a 83 foot yacht in southern California with a very unusual feline called Harry. He is a 60 pound domesticated Canadian Lynx with quite a personality. Harry's job is to guard and protect this 83ft. million dollar yacht, and guard he does. Through the 45 photos accompanied by audio from a professional voice-over actor,along with background music & effects. You will see and hear how while Harry is on patrol, he is making his bed, straightening the covers, checking out the controls all just routine stuff. Then a robber breaks into the yacht, and the action really takes off. Harry attacks him, and drives him off the boat into the almost waiting arms of the Los Angeles County Sheriff's patrol boat, who just happens to be going by. There is a reward for the robber and Harry's owner is presented with a big check, while Harry is made an honorary deputy. In the story, truths are pointed out like, having a sense of responsibility, the importance of taking a nap, making your bed, keeping things neat and clean, and other things children need to make part of their regular behavior. $12.95 CLICK TO ORDER NOW! This like all products carry our Satisfaction $ back Guarantee! AUDIO CD #2 - ONLY $7.95 - 3 Great Stories on CD! These are a collection of 3 fantastic tales children can enjoy over and over again. These are AUDIO ONLY (no photos) CDs that you can play anywhere you have a cd player as in your auto, or home CD player. CLICK HERE TO ORDER NOW! HENRY THE LITTLE CACTUS - LISTEN TO SHORT PART - A fun story about a little cactus that gets stranded in a large city and is befriended by a little dog (Pepie) and a friendly little cat named Mandy. They live with Mister B and take Henry in and learn how to care for "Someone else" for a change. THE GIRAFFE WHO LOST IT'S SPOTS - LISTEN TO SHORT PART- A great story of baby giraffe who gets separated from her parents on the African plains, accidentally loses it spots and then regains them, and learns a valuable lesson in keeping in contact with her parents. WILD HORSE - LISTEN TO SHORT PART- A magical tale of an American Indian boy who tames a wild stallion and returns with an entire herd of wild horses to save his village and become a hero. This like all products carry our Satisfaction $ back Guarantee! Sandra Keller , Danville, Ill. These stories are great, my kids have played the gooves off the cds! We even take them in the car to play on long trips, and it's great to use as rewards for going to bed early, or taking a bath. Give me more asap! 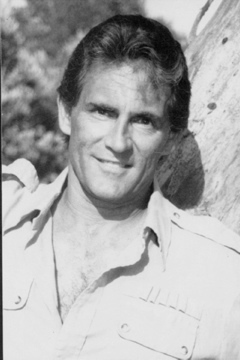 Bill Jerrard , Los Angeles, Ca. We really love the stories, you would think our kids would get tired of listening, but somehow that's all they want to hear before bed. I'll take all you can send us. Linda Balmer, Dana Point, Ca. I could never get my son to clean up his room and make his bed until he listened to Harry the Guard Cat. The part where Harry is making HIS bed because he keeps things clean and net, really worked on my son to copy Harry's idea of keeping things together. Right on Harry, keep up the good work. All our products are satisfaction guaranteed. You have to like them or we will promptly refund your purchase price minus shipping and handling. ORDER NOW!